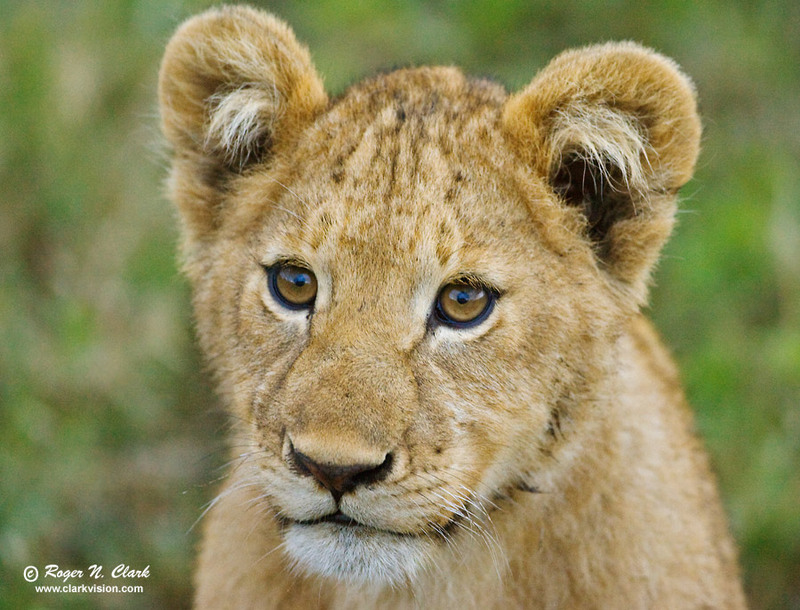 A lion cub showing his curiosity for the photographer. The parents were nearby. Ngorongoro Crater, Tanzania, Africa. Technical: Canon 1D Mark II 8-megapixel camera, Canon 500 mm f/4 L IS lens. Exposure: 1/160 second at ISO 1600, f/4. Full height image, crop horizontal to 16x21 proportion.